Want to access Gmail, Yahoo or any other email account on Apple ipad? 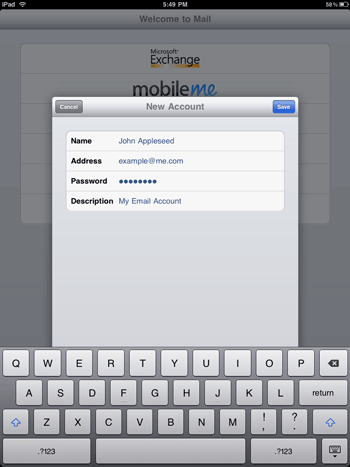 You can easily setup and add multiple email accounts and stay updated with latest incoming / outgoing emails on iPad. You can add any IMAP / POP3 email service and access it like we do on internet on normal PC or laptop. 2. Then tap to add type of email account that you want at add among: Microsoft Exchange, Mobile me, Gmail, Yahoo Mail, AOL or others. 3. Then enter login details for selected email account type. 1. 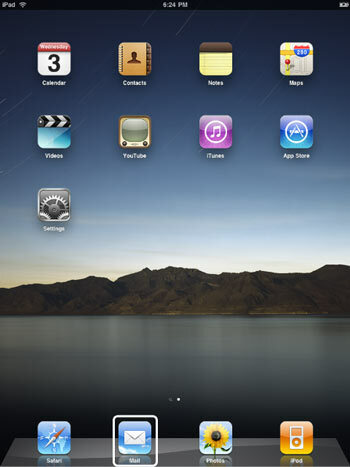 Tap ‘Settings’ icon on iPad home screen. 2. Then tap ‘Mail, Contacts, Calendar’ option in the left column. 3. Select ‘Add account’ option under ‘Account’ listing at the top of right column. 4. Then repeat steps 2 and 3 in method to first email account. Select email account type and enter login details. I want to add a save folder to my email. Any technical assistance? It may not be obvious but adding a Verizon email account using the above ‘add first email account’ worked just fine when I selected a Yahoo type account. How stupid is this – you are saying we can add multiple accounts but need a fricking app to view or access email from them? I have been a long time Apple fan, but the usability of the iPad or Phone is not up to their long history. My heartburn is that, while I can configue multiple e-mail accounts, the mail folders I create in Webmail for both Earthlink and GoDaddy will not show up on the iPad’s Mail app. EL said no can do. Waiting to hear from GD. My University acct custom folders show up on iPad, so we know it’s doable. I want multiple email accounts but in many cases they use the same email server (SMTP). The accounts require different usernames and pws. Is there a way to have multiple email accounts that access the same server in such instances? I have tried to set up multiple servers but the system gets confused among the various SMTP accounts. Help please. 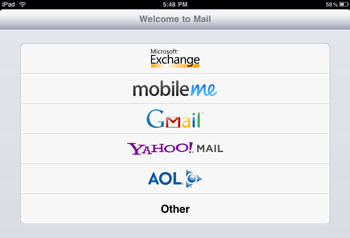 Why can I get yahoo email using the ipad mail application but not the imac mail application?